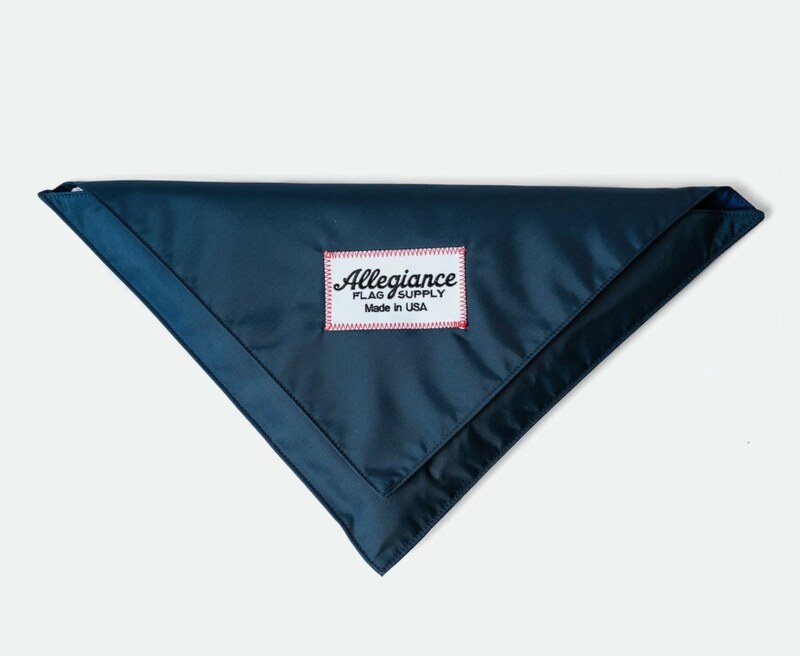 Allegiance Flag Supply make all of their flags in the USA, each one is individually made by veteran seamstresses in South Georgia, many of whom saw their jobs disappear years ago as the textile industry was outsourced to Asia. 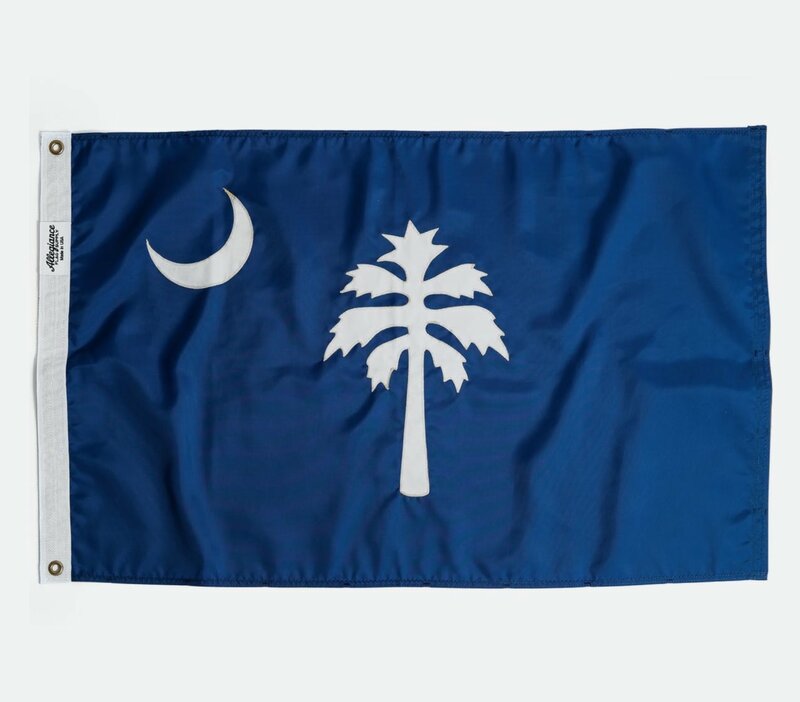 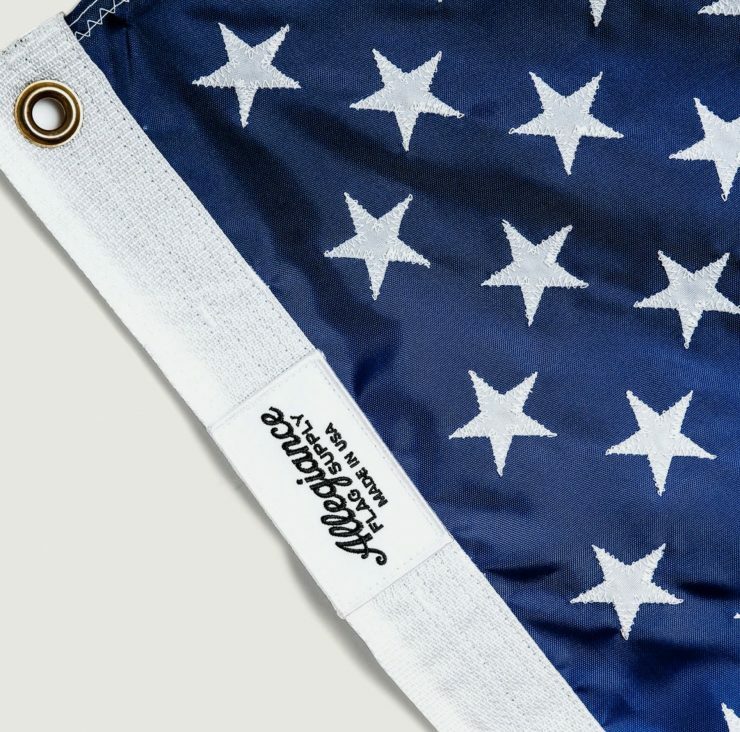 The team behind Allegiance started the company to combat the low-quality flags pouring into the country, these flags don’t tend to last long and need frequent replacements due to fading, tearing, and fraying. 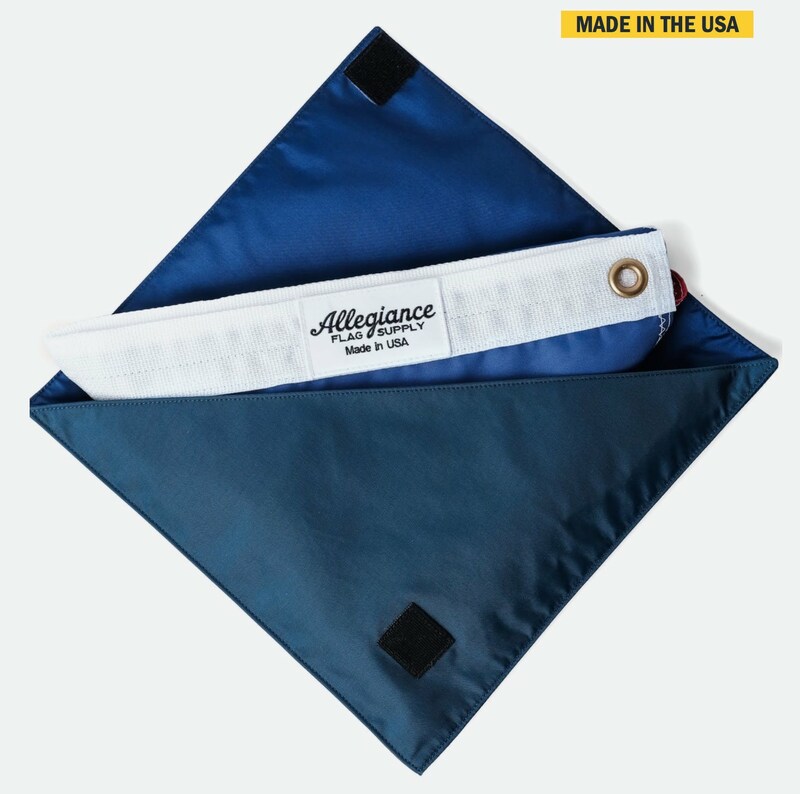 Each flag made by Allegiance is constructed from long-lasting 400 Denier nylon that’ll last for countless years without fading or tearing, while still being lightweight enough to fly in the wind. 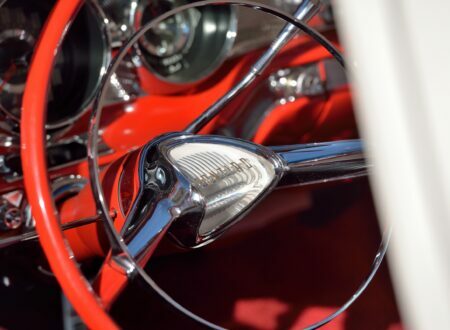 The stitching is all double needle lock to avoid unravelling, and stress points are reinforced with extra stitching. 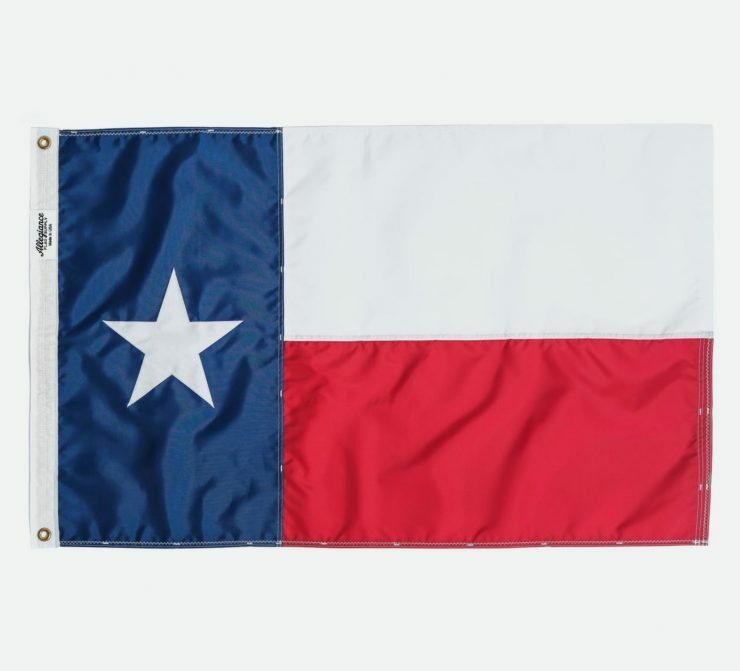 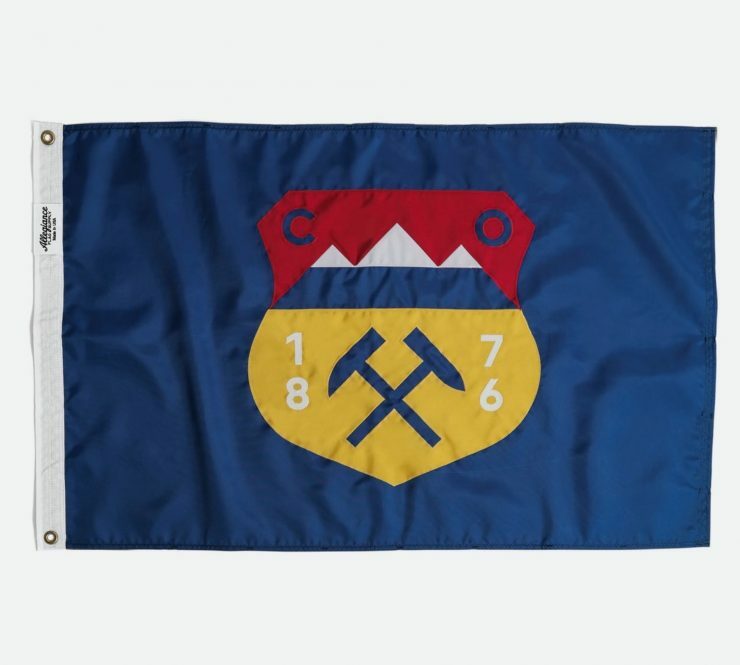 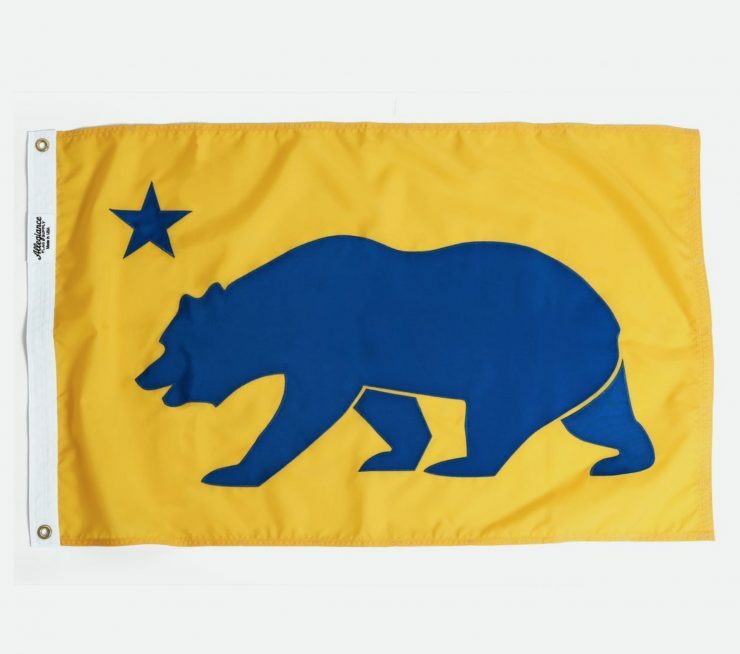 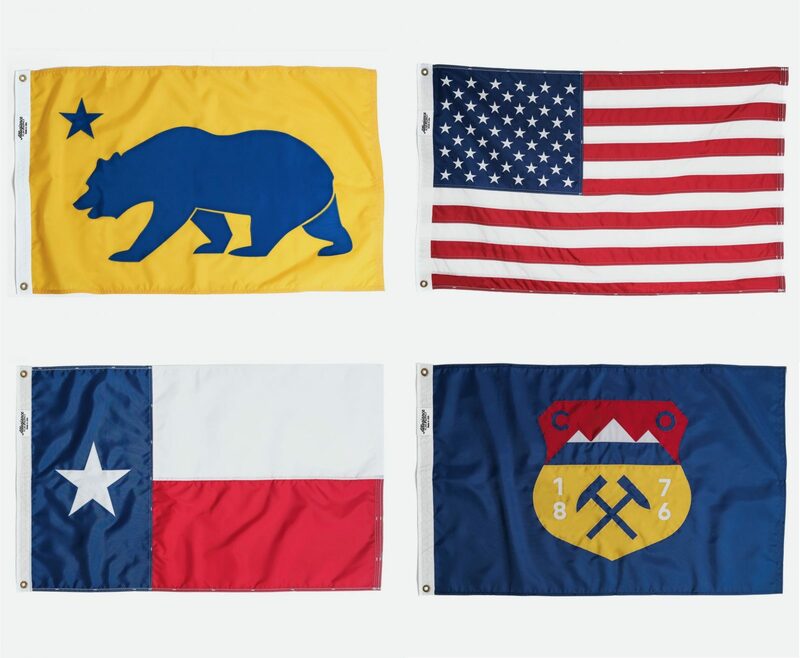 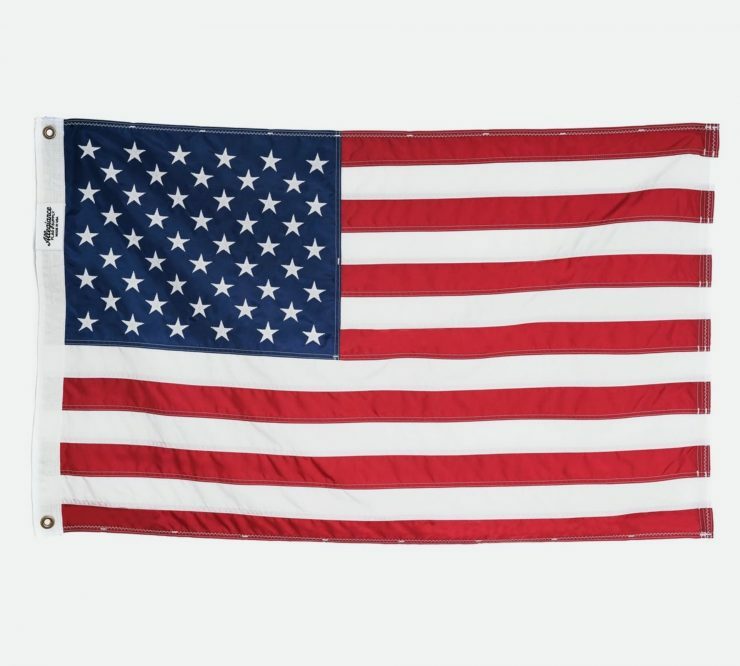 Each of these flags measure in at a large 2.5 feet by 4 feet (76.2 cm by 121.92 cm), Huckberry are offering the flags for the USA, California, Colorado, South Carolina, and Texas. 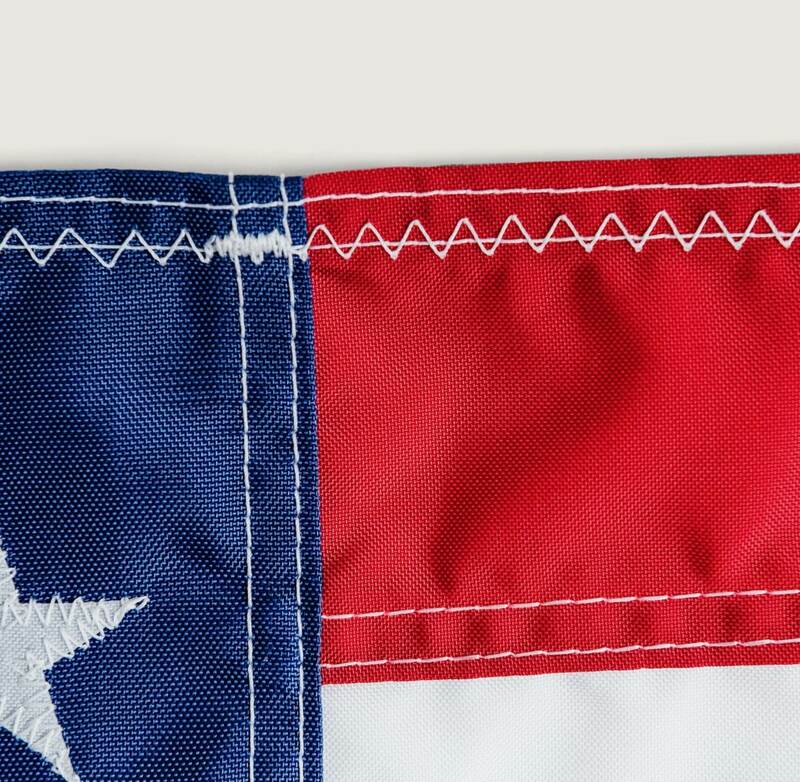 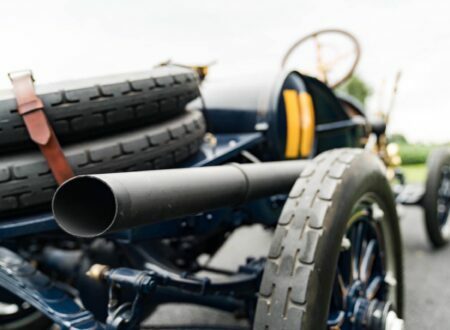 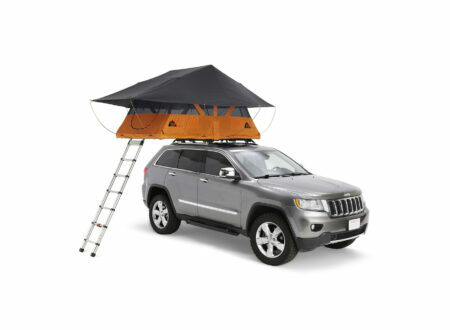 Each has metal grommets at each end of the pole-side, allowing the flags to be hung both vertically and horizontally. Those of you without a flag pole will be happy to learn that many who buy Allegiance flags hang them on their walls or doors, they can also be hung vertically from verandahs, balcony railings, curtain rods, and anywhere else you can think of.